Established in 1974, Continental Flowers is a leading grower, importer and distributor of fresh cut flowers. With several farms in Bogota, Colombia, and Medellin, Colombia, Continental Flowers grows its own Alstroemerias, Roses, Pompoms, and Disbuds. We have developed best-in-class cultivation, harvesting and packaging techniques that have been recognized by the breeders and proven by our customers’ satisfaction and loyalty. 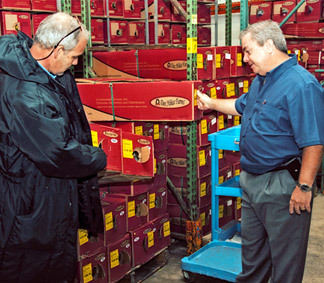 At its core, Continental Flowers is a family business. Started behind the family’s flower shop, the company has always strived to exemplify family values. This has been essential to forming long-term, collaborative partnerships with many farms across South America that are equipped to deliver the same high-quality flowers the company cultivates. This strong, global network of farms provides Continental Flowers an ample variety of quality flowers to fully satisfy their customers’ floral needs. All flowers are imported into the Miami facilities where they are prepared for distribution to customers. 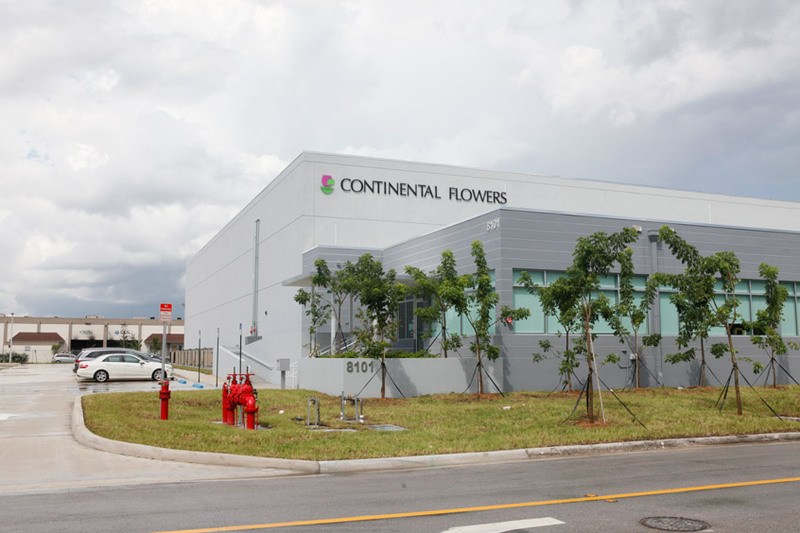 Continental Flowers currently serves over 800 clients comprised of large and mid-sized floral wholesaler distributors and mass market retailers. With over 400 team members employed at the farms in Colombia and in the Miami distribution center, state of the art technology in the production and cold chain transportation of our flowers, Continental Flowers has amassed the resources needed to make sure that the end consumer will enjoy fresh, high quality flowers. Continental Flowers operates several farms with 125 acres under greenhouses in Colombia. At our farms, we grow our Alstroemerias, branded as "Alstroejewels"®, Roses, Pompoms, and Disbuds. Best in class: We use best in class cultivation, harvesting and growing techniques to produce the highest quality fresh cut flowers. Responsible Farming: We believe that growing quality flowers should not come at the expense of sustaining a green environment. Innovation: We are proud to always be among the first growers to introduce the newest floral varieties, allowing us to continuously update our flower catalog. 1985 - Introduction of Madam Delbard rose which revolutionized the US rose market at the time. 2000 - Continental Flowers becomes the largest grower of "Forever Young" red roses in Colombia, a florist favorite to date, due to its deep red velvet color and exceptionally long vase life. 2002 - Introduction of the Alstroejewels®, taking the beauty of the Alstroemerias to a higher level, with more blooms per stem, and larger, more vibrant blooms. Since their inception, we continuously bring in new and unique colors that appeal to the market. How can I start buying flowers from Continental Flowers? If you are a wholesaler or mass market customer and would like to open an account with Continental Flowers, you need to fill out a credit application form and fax this form to 305-594-4215; we will review your form and contact you to confirm that your account has been created. Please click here to download the form. Or if you prefer feel free to contact us and we’ll be happy to assist you through the process. How can I buy from Continental Flowers if I am not a wholesaler or a mass market retailer? If you are a retail florist, or event planner and you wish to buy our flowers, you can do so through one of our local wholesalers. Please contact us so we can direct you to the wholesalers we work with in your area. How can create an account and start shopping online? In order to shop online, you must have a credit account open with Continental Flowers, if you do not have one, please follow the steps outlined in the How to become a Client question. Once you have an active account all you need to do is contact your sales account manager and request a username and password, you will receive your internet credentials within the next 24 hrs so you can start shopping at the click of a button! I saw a flower in the flower section of the website that I would like to buy, but I am unable to find it once I log into my account. What should I do? The flower section in our website shows all the flowers that we grow and import. After you log-in, what you’ll see are the flowers that are currently on our inventory; however, if you don’t see the flowers that you are looking for, please contact your account manager so he/she can give you more information about the upcoming availability for that product. I’m having problems with my online order, where can I get help? If you’re having a problem with your online order, we’ll be happy to assist you; please contact your account manager so he/she can help you to solve the problem. Does Continental Flowers have a standing order program? Yes, we have a standing order program that will allow you to secure high quality product throughout the year at a stable price, reducing the risk of market volatility. What are the advantages of having a standing order with Continental Flowers? By signing up to our standing order program you will secure high quality product at a fixed price for the entire year. Your order will be doubled during peak holidays, so you won’t have to buy more product at higher open market prices. Finally, the color mix of our standing orders is automatically adjusted to match the season of the year.